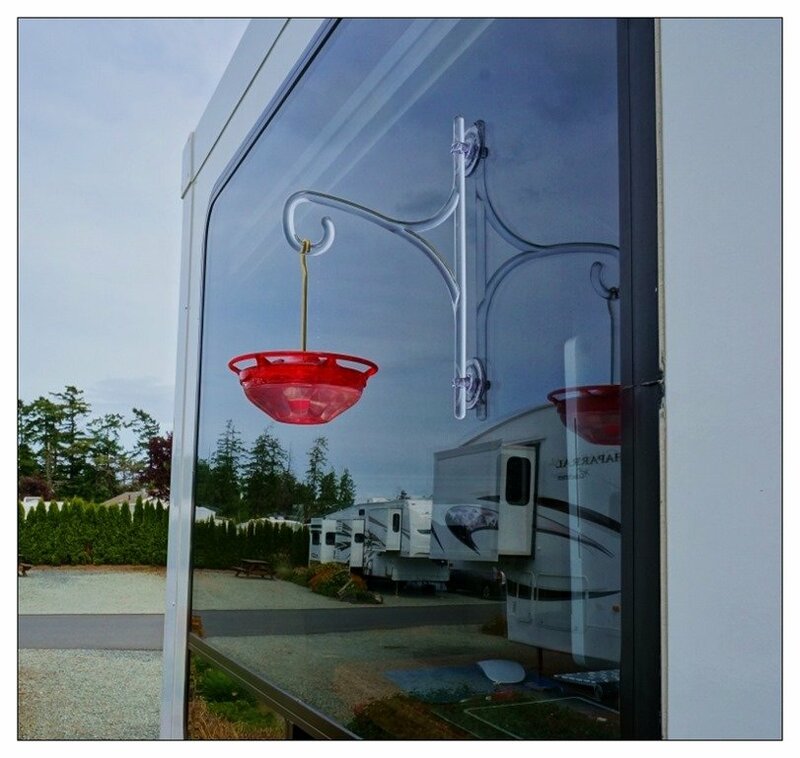 The last few seasons RVing we have noticed quite a number of rigs put out a hummingbird feeder. 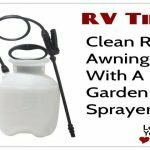 After seeing this, over and over again we decided to see what the attraction was and finally, we purchased ourselves one for our RV. 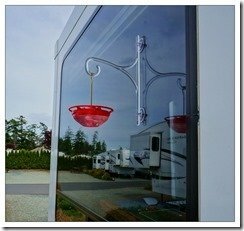 We attach it to one of the big picture windows on the large fifth wheel slide out by a suction cup hanger. 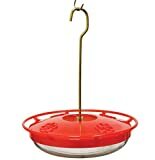 The feeder we bought is small so it doesn’t take much storage space. 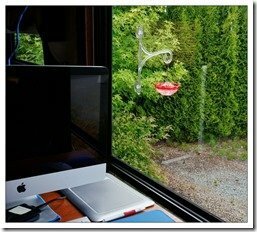 The suction cup hanger makes it quick and easy to put up and take down. 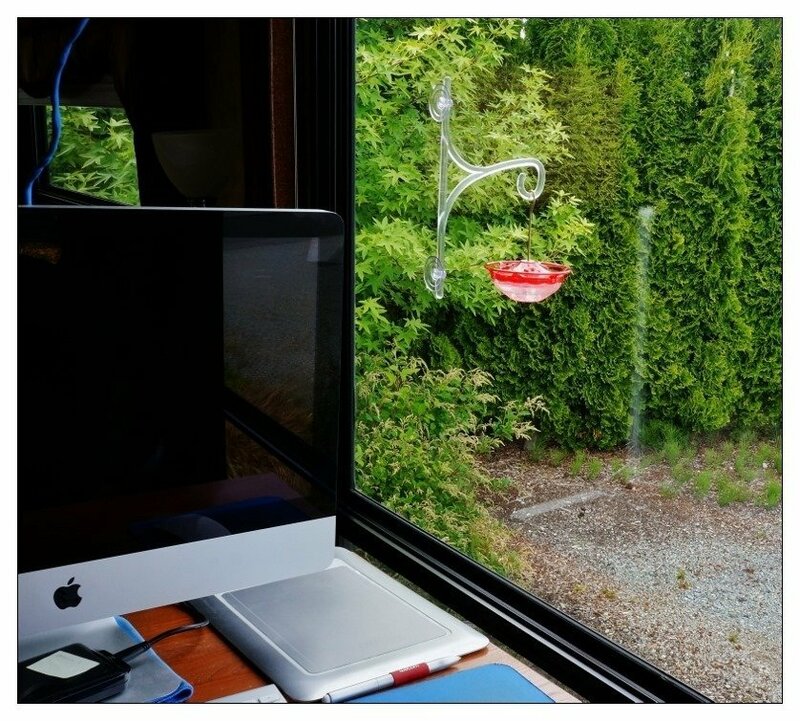 It is located on the window beside my wife’s work computer and the table we eat our meals on, so we have plenty of chances to watch the birds. 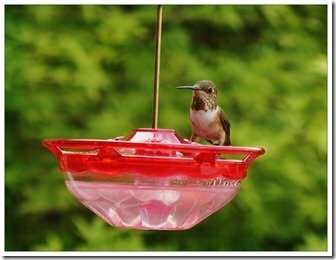 It didn’t take long at all once we put it up to have several visitors show up. 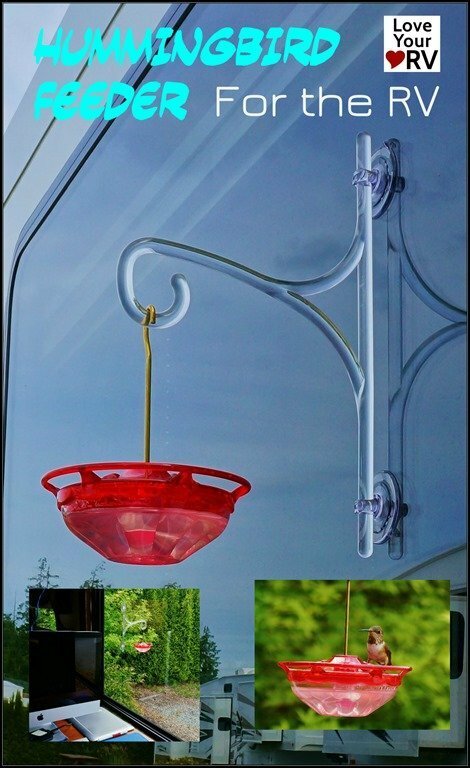 I really like this particular feeder because you can see the birds from all angles and there is a circular perch for them to land on. 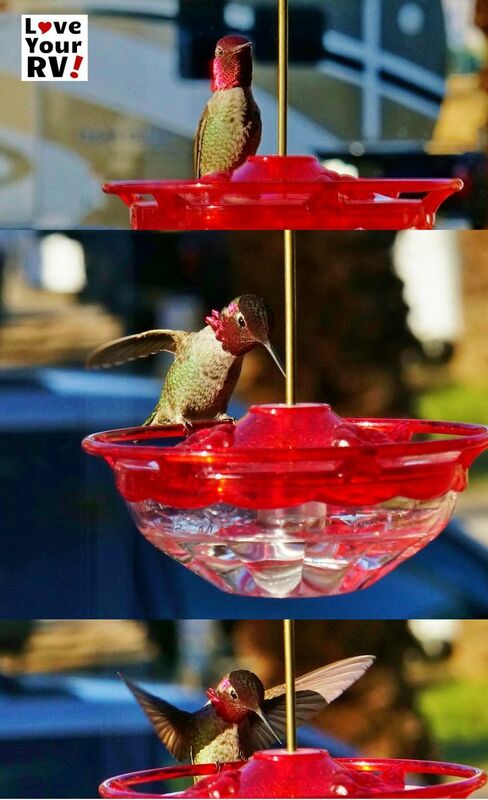 If you’re a photographer this is a great way to get a shot of these very quick and elusive creatures. 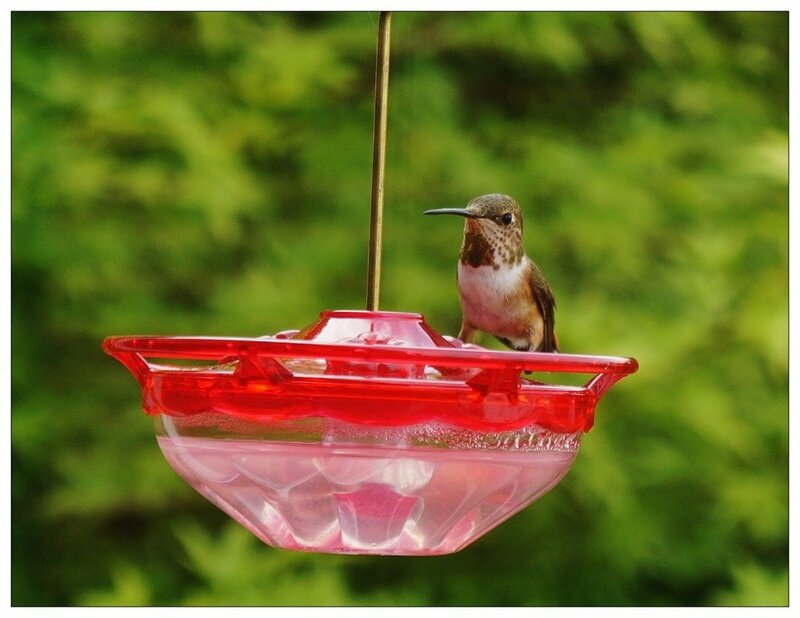 I was able to get the shot of this little guy you see in this blog post through the RV window. It’s so cool to see them up close. Amazing animals! 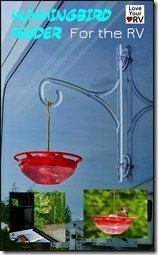 Man, why did it take it take us so long to get one? 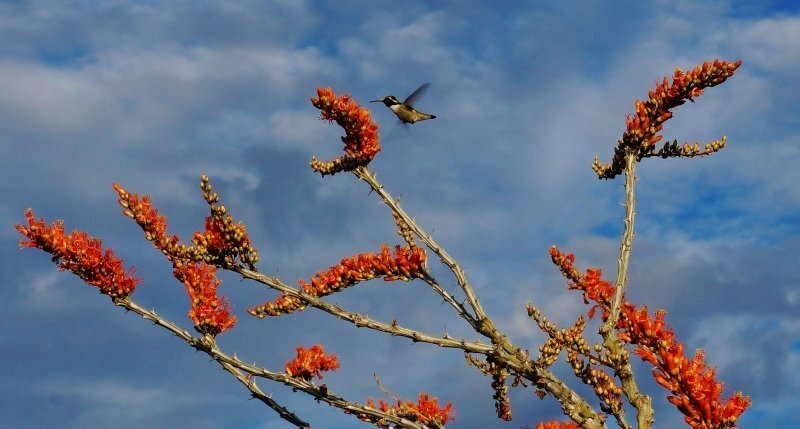 I can hardly wait to put it out next winter’s snowbird season down in the desert where there are some really cool looking hummingbirds feeding on cactus flowers. 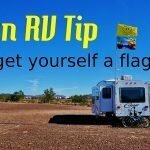 Fun RV Tip Get Yourself a Flag! 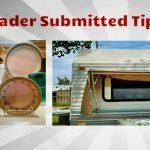 Are Your RV Storage Bay Locks Secure?